Isn't Puss' "Never speak of this to anyone" at the end ominous now? 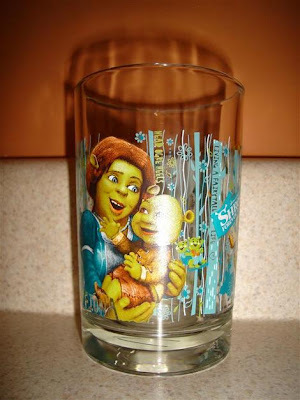 McDonalds is recalling 12 million of these glasses due to cadmium poison found in the painted designs. I've already texted my fast food loving friends and one cousin who is almost 30 but loves Shrek. Get the word out - although kindly omit the part about these cups being made in my homestate NJ, not China as usual.